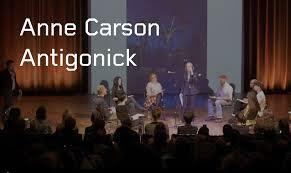 Staged reading of Anne Carson’s Antigonick followed by play discussion between Carson and Juliette Binoche, moderated by Will Aitken. This is a free evening presented in conjunction with the U-M Penny Stamps Lecture Series. Arrive early if you plan on going. It will be very popular. It will be fascinating to hear the translator and the actress discuss the play. The staged performance should also be full of surprises. I appreciate you writing this write-up plus the rest of the site is also very good. Way cool! Some extremely valid points! freedom apk I appreciate you writing this write-up plus the rest of the site is also very good. I definitely enjoying each and every little bit of the article and I have you bookmarked your site Best Whatsapp images download, sad dp for girl download, memory card lock unlocker download. The above articles are very great and super to see you can also have a look at happy birthday images for friend, how to remove shortcut virus. Thank you very much for sharing this nice post snaptube apk download. Thank you very much for your post, it makes us have more and more discs in our life best whatsapp status in english. I definitely want to go to that!